A new law stipulates that only products that directly come from a living animal can be sold as "meat," compared to plant-based and lab-created meat substitutes. Should plant-based or lab-created meat substitutes, which have become increasingly popular in recent years, be labeled as meat? A new law says no. Missouri became the first state in the country to pass a law defining what meat is, with the stated goal of protecting consumers against unknowingly purchasing meat products that did not come from living animals. 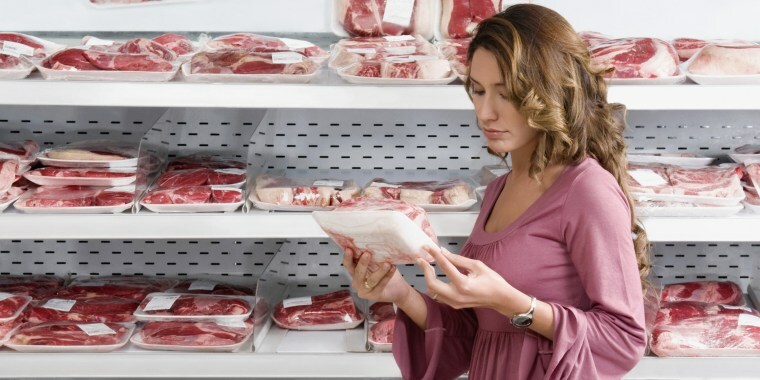 Plant-based proteins, meat substitutes and lab-created meat alternatives cannot be labeled as "meat" on their packaging or in their marketing under the new law, which went into effect on Tuesday. "Currently, no person advertising, offering for sale, or selling a carcass shall engage in any misleading or deceptive practice including misrepresenting the cut, grade, brand or trade name, or weight or measure of any product,'' the law reads. "This act also prohibits misrepresenting a product as meat that is not derived from harvested production livestock or poultry." Violators of the new law can be fined $1,000 and spend up to five years in prison. The Missouri Cattlemen’s Association lobbied to get the law passed, arguing that meat substitutes, which are made with ingredients like tofu, soy, vegetable protein and tempeh, are misleading consumers. It also targets "clean meat," which is grown in a laboratory setting from the cells of animals rather than raising them. "The big issue was marketing with integrity and ... consumers knowing what they’re getting," Missouri Cattlemen’s Association spokesman Mike Deering told USA Today. "There's so much unknown about this." The maker of meat alternative Tofurky as well as the Animal Legal Defense Fund, the American Civil Liberties Union and The Good Food Institute, a Washington, D.C.-based advocacy group, have filed a lawsuit against the state of Missouri to stop the law. "Indeed, the Missouri consumer protection agency has no evidence that consumers are confused by the labels of plant-based products,'' the Good Food Institute wrote in a news release. "No one buys Tofurky 'PLANT-BASED' deli slices thinking they were carved from a slaughtered animal any more than people are buying almond milk thinking it was squeezed from a cow’s udder." "As a founder in our category, I feel it’s vital to champion the rights of our entire industry and stand-up for our market position,'' Tofurky CEO Jaime Athos said in a statement to TODAY. "Demand for plant-based proteins has sky-rocketed domestically and abroad. As brands and products enter the market we must assure a level playing field for all manufacturers, to allow consumers to clarify their preferences, by way of purchase intent each week." The fight over what can be defined as meat is the latest showdown between traditional food makers and creators of alternative foods that often mimic the taste and texture while using different ingredients. Just, Inc., formerly known as Hampton Creek, started up in 2011 selling mayonnaise, dressings and cookie dough using plant-based ingredients as a cheaper and sustainable alternative to the traditional method of making them with eggs. The company found itself opposed by the American Egg Board, which the U.S. Department of Agriculture found in 2016 to have exhibited "several instances of inappropriate conduct" in negatively targeting Hampton Creek's products. Can a low-calorie ice cream taste as good as the real deal? In May, a New York man sued lower-calorie dessert maker Halo Top, claiming its signature product is billing itself as ice cream when it's really not because it doesn't have the fat and calories of regular ice cream.